Rainforest in Panama. Photo by: Rhett A. Butler. A new short film, entitled La Trocha, highlights the plight of the Wounaan people in Panama, who are fighting for legal rights to their forests even as loggers and ranchers carve it up. The conflict turned violent in 2012 when local chief, Aquilo Puchicama, was shot dead by loggers. "[The Wounaan] live some of the lowest impact lives imaginable, yet the weight of the world's consumer obsessions are falling on their shoulders—luxury wood, drugs, beef... All set in one of the most interesting geographies in the Western Hemisphere," co-director of the short film, Ian Bell, told mongabay.com. He added that threats such as illegal logging and cattle ranching "bring with them the cascade of negative impacts associated with deforestations—such as contamination and desiccation of rivers, loss of medicinal plants, and loss of other forest based resources." Stolen lands, deforestation, government ambivalence, and even violence are perils many indigenous groups face around the world. However, in some places, land rights for indigenous groups are expanding, including in Panama. "Several communities recently received title to their land, which is a huge and unprecedented step in Panama," Bell said. "Although it remains to be seen if the titles and boundaries will be respected and/or effectively enforced by the Panamanian government." This is the first film in a set of four highlighting the existential struggles faced by the Wounaan. Native Lines - La Trocha de Platanares from divingbell on Vimeo. 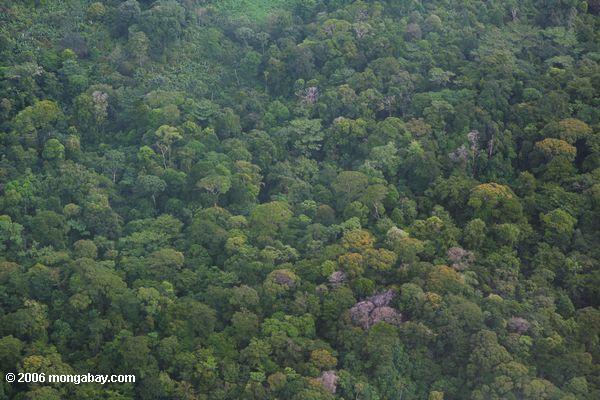 Rainforest to be felled with Norwegian money? Stop it!